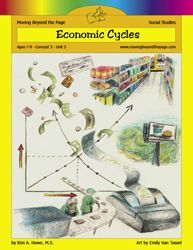 Moving Beyond the Page is a literature-rich curriculum that encourages children to think both critically and creatively. Appealing to multiple learning styles, the units are engaging and challenging. 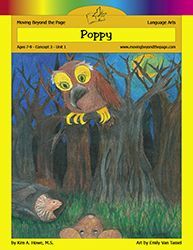 Children will think independently and “outside-the-box” as they respond to their reading through activities and projects. Meeting state and national standards, you won’t find gaps within the Moving Beyond the Page curriculum. Individual Language Arts, Science and Social Studies unit studies are available for 7-13 year-olds. Prices vary among the unit studies. You have the choice of purchasing only the unit guide in either physical or online format. Another option is to purchase a package which not only includes either the online or physical unit guide, but also includes the actual literature/books to be read. Because there are so many titles offered, it is hard to choose where to begin. Visiting the Choosing the Right Age Level page could prove very helpful. It is also important to note that even though the units are stand alone learning experiences there are also strong connections between the language arts and science/social studies units. To see which titles would work well in tandem, check the Year at a Glance page for each age range: 7-9, 8-10, 9-11, 10-12, and 11-13. 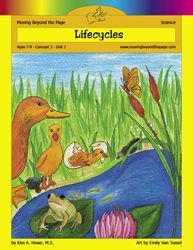 There are many helps for parents using Moving Beyond the Page curriculum. The online forum is an excellent place to connect with other homeschooling families and to ask questions in a supportive setting. IdeaShare is a place to find and share ideas for teaching and supplementing specific lessons. 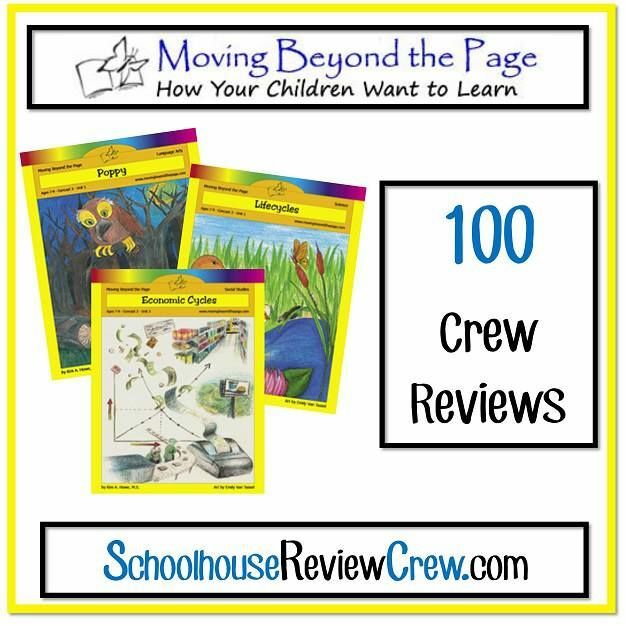 The Schoolhouse Review Crew Members used a wide variety of products, and each shared their experiences with their Moving Beyond the Page units of choice. Be sure to read all the reviews! Click on the banner below! A big thank you to Angela Wells of The Wellspring of Life for writing this introductory post.